Even the idea of launching a website can seem overwhelming. Once you’ve figured out the basics of setting your blog up, you’re still left facing the even greater challenge of getting your first readers… and eventually growing that figure into the thousands. The next challenge will be learning how to convert those readers into email subscribers, and it’ll soon be time to monetize your audience through an online store, affiliate programs, digital products, advertisements, a service-based business or otherwise. Over the past few years, I’ve grown my blog from just a small side project into becoming a profitable website that now brings in millions of readers and well over six-figures in side income for me each year. And that isn’t an accident. I’ve been fortunate enough to work for some incredible companies and (get paid to) develop my own process for creating a repeatable content strategy that regularly generates new readers for a website. I’ve successfully applied those same lessons to my own blog, and that’s exactly what we’re covering here today. We’ll start by covering how to put a clear content strategy together, and then we’ll dive into the exact tactics I’ve used to promote my content and generate millions of readers. 1. Define the goal for your blog. What’s the number one purpose of creating content on your blog? What are you ultimately hoping to achieve? Is it to drive traffic and get readers? To get people to sign up for your email newsletter? To get them to download a book you wrote or some other resource? To generate leads for a product you’re going to create? This goal may change as you go from learning how to start a blog and move towards focusing solely on growing traffic, but it’s still important to clarify your purpose very early on. 2. Understand and connect with your readers. Once you’ve written down these characteristics for your target readers, you can come up with an audience persona—a fictionalized version of your who your readers are. 3. Decide on your key content pillars. When it comes to choosing what you’ll write about on your blog, you need to have a few core topics that that will tie everything together. I like to call these content pillars as they’re the foundation that holds up the rest of your blog and keeps everything on-theme. An example of this with a “marketing” blog would be having a few pillars like social media marketing tactics, content writing, and digital advertising tips that all help to keep your blog focused. It also gives you a voice you can write from. 4. Brainstorm winning content ideas. By now, your content strategy should answer who you’re writing for and which topics you’ll cover. But what about the actual articles you’ll write? This is where I believe a simple editorial calendar is so important. It’s a simple spreadsheet or calendar-style document you can use to fill out, assign publishing dates, and make sure you’ll always know what to write next. Think about interesting topics, terms and write them all down: Start by writing down as many ideas or keywords that you can. Aim for things you know your audience would find useful. Are they curious about building products and growing a business? Then use your expertise around a topic like new product development to help them fill in their own blanks on the subject. Draw from your own personal experience as much as you can and it’ll be easy to come up with topic ideas. Use a keyword research tool to gather even more ideas: You want a ton of blog post topics at this stage, so use a keyword explorer tool like Ahrefs or Moz to help you fill it out. These tools will show you terms and topics related to the ones you’ve already come up with, as well as how much traffic those terms are getting (to show that your audience cares about them). Clump similar ideas together: Your list should be pretty sizable at this point. So take all those terms and start to refine them. Are there duplicates that you can lump together? Do some just not look right now? Refine and edit it down. Put your ideas in a spreadsheet and prioritize: Start a spreadsheet and include your keyword, estimated search volume, difficulty, and opportunity to help prioritize each idea. You should be able to get all this information from the keyword tool you use. Now, looking at all these, assign a priority to each one either on a scale of 1-5 or a basic High-Medium-Low. Now that you’ve got a pipeline of content for your blog, let’s talk about promotion. What do you actually do once you’ve hit publish on your blog posts? It’s a question I hear time and time again from my readers. Here are a few of the best ways to start getting in front of new readers and keeping them coming back for more. The obvious first place to turn to is social media. Facebook, Twitter, Pinterest, LinkedIn, Reddit, Instagram, Snapchat. Whichever platform best suits your niche and your audience, is the right one for you. And that’s an important note. There’s no point in trying to promote your blog posts on every social media platform. Instead, look for the ones that give you the best return. The key thing here is to experiment and see what works for you. Identify influencers and more established brands that regularly share content like yours on their social channels. Work to build relationships with them, provide value in the form of quoting them in your blog content, and tag them when you share that content with your social audiences. Setup an affiliate marketing plan to engage your audience and convert passive readers into active consumers. Over time you’ll be able to get more of their attention, and eventually, you can ask if they’d be interested in sharing your content (thus increasing your reach) or collaborating in other ways. One of the best things about blogging, is that there are already other more established bloggers writing about the same (or similar) topics. And guest posting to those relevant blogs is one of the best ways to connect with an already existing audience. When I first started my blog, it was primarily about freelancing. I began pitching guest posts pretty much right away on related topics like how to structure a freelance contract that’ll get you paid on time and the tactics I use to be more productive as a freelancer. I’d make spreadsheets and reach out to editors or the owners of blogs about freelancing and side hustling. It took time to gain traction, but it became much easier as I began to get published elsewhere. Start by going after relatively small blogs with engaged audiences and industry publications with a similar audience to the one you want to build. It may seem like a lot of work, but those early guest posts will help you build own audience. And eventually, as your network grows, you’ll be able to make more connections and post to even more reputable blogs. 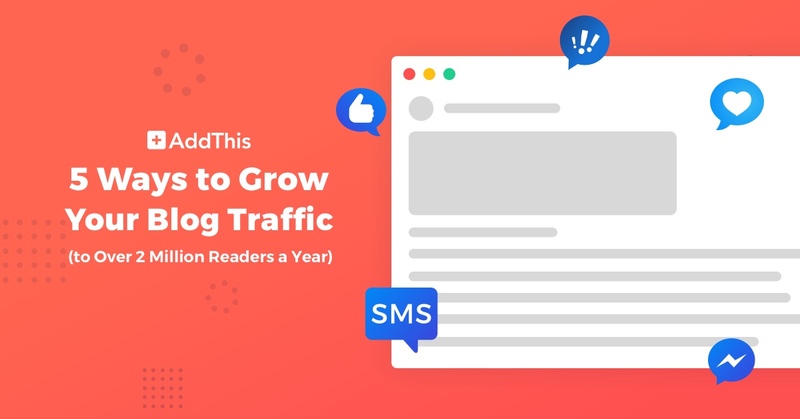 Building traffic to your blog is driven primarily by getting in front of (and engaging) your ideal readers in the various destinations they already frequent online. And in this guide on my blog, I dive into even more strategies I’ve used to accomplish that goal. Of course, all the traffic in the world won’t lead to the guarantee of a successful online business. If you want people to read what you’re writing—and consciously decide to come back for more—you need to give them a reason to. Write useful content, work hard to reach your audience, genuinely connect with those readers, and keep providing value to them. If you can do that, the traffic will continue to multiply. 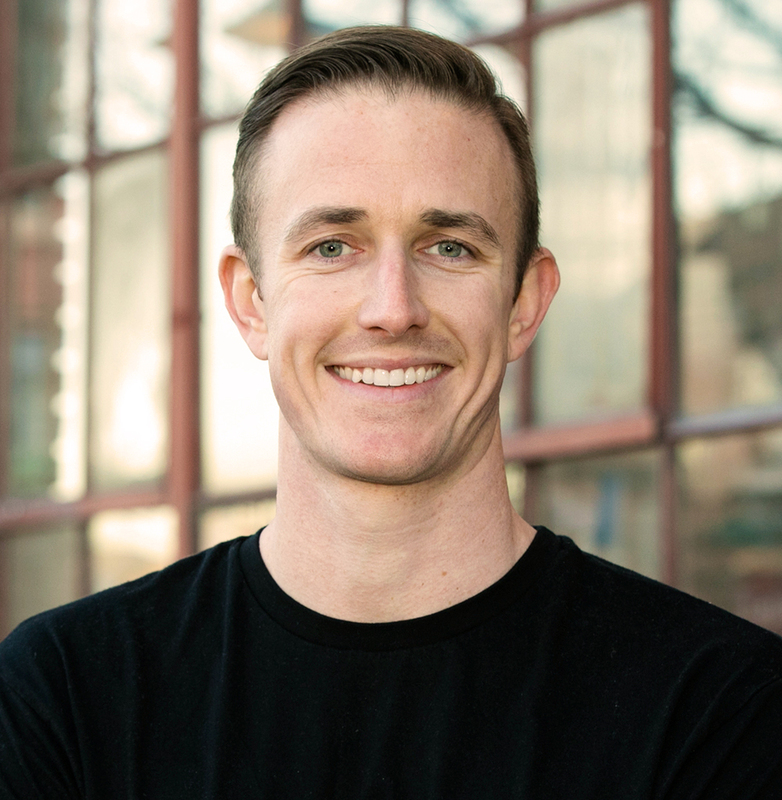 Ryan Robinson is a content marketing consultant to the world’s top experts and growing startups. He teaches more than 2 Million yearly readers how to start and grow a profitable side business on his blog, ryrob.com.